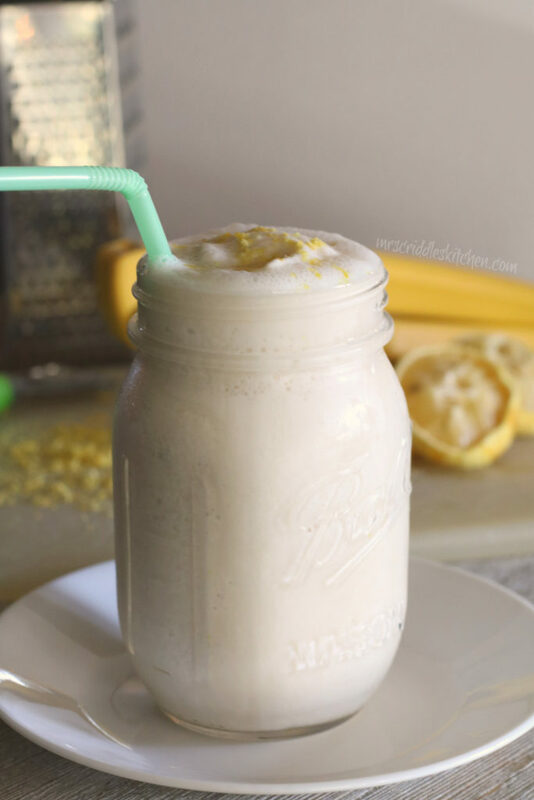 This is my favorite breakfast smoothie! This is the one that my husband also requests me to make! This would be a perfect snack too! They are completely THM friendly! 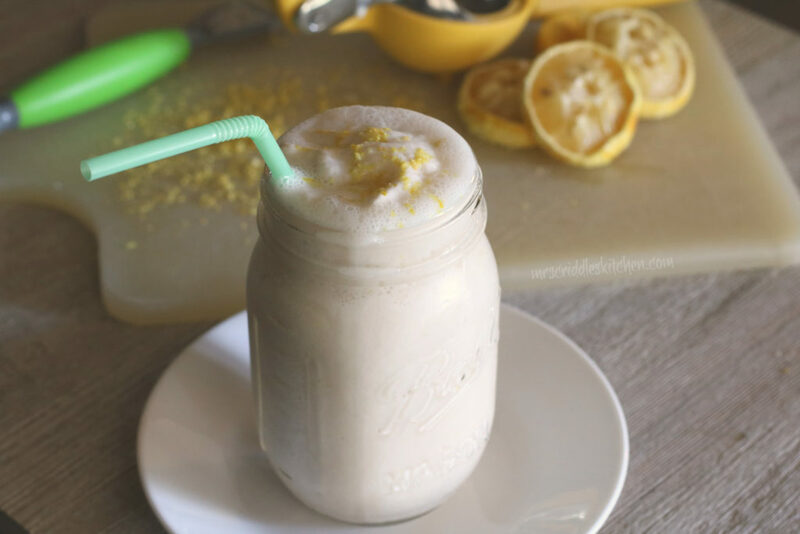 The great thing about this smoothie is that it is both low fat and low carb! ***If you use essential oils ONLY use the kind that you know is FOOD GRADE! 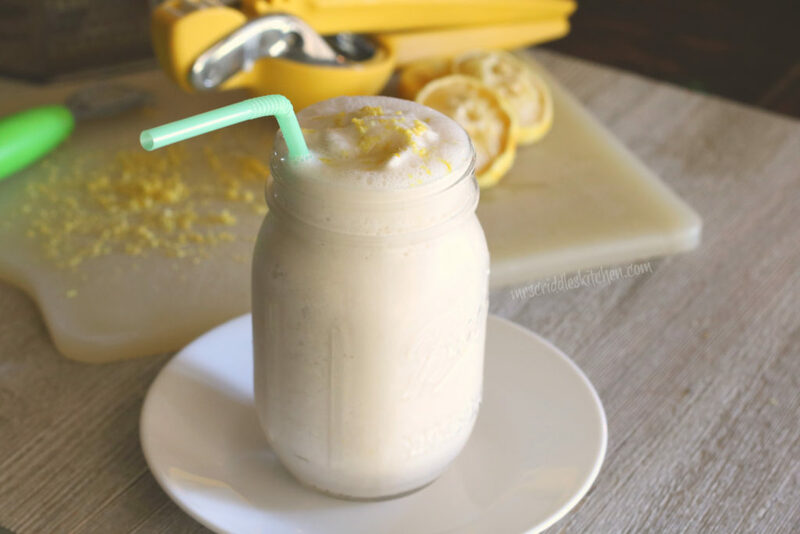 A yummy tangy sweet lemon smoothie that is both low fat and low carb! I make it an S with powdered coconut oil. This is a keeper. I couldn’t resist making it immediately and I am so glad I did. I have already added it to my recipe binder. Thank you. 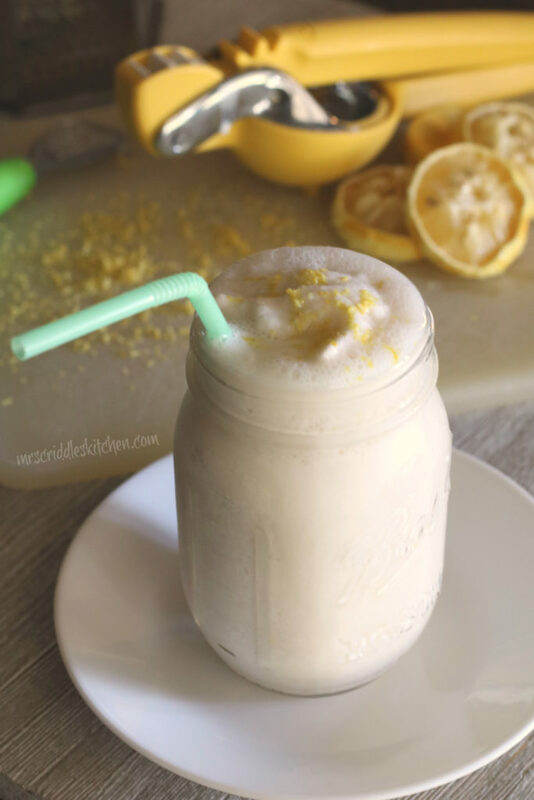 This lemon smoothie shake is amazing!!! 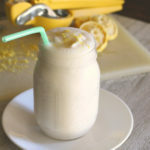 I love lemon and this is a very filling, full of protein delicious treat!!! My husband and I used this recipe and substituted 1 cup frozen strawberries in place of 1 of the cups of ice cubes and made a delicious strawberry lemon aid smoothie! This is absolutely delicious! I love smoothies and am adding this to my THM recipe binder! Thank you for all the great recipes!